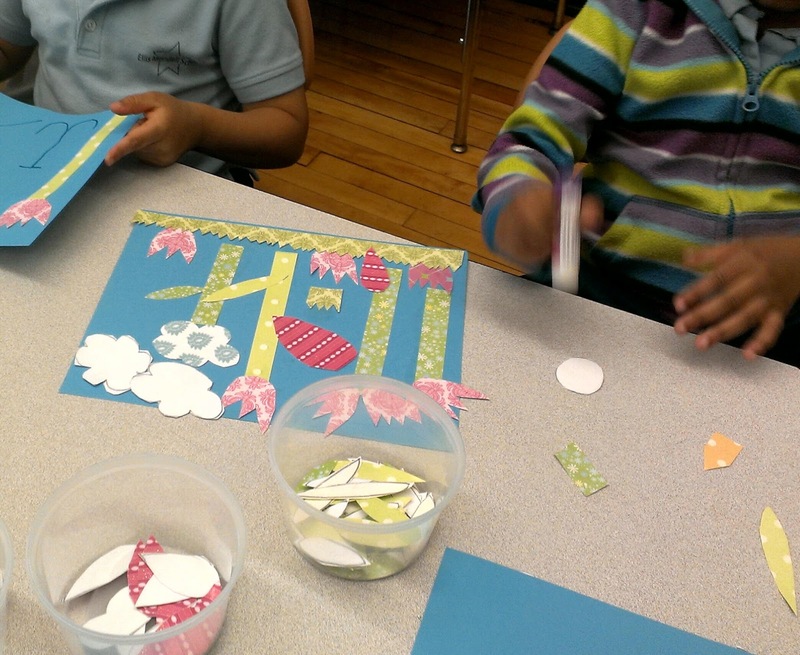 This week's after-school storytime craft activity was inspired by my friend and fellow Barefoot Books Ambassador Sheila, who wrote about this amazing craft activity she did with some kids at a local art studio in her town last month. I've been wanting to put my own spin on this project ever since I read Sheila's post, and yesterday I finally had the chance! 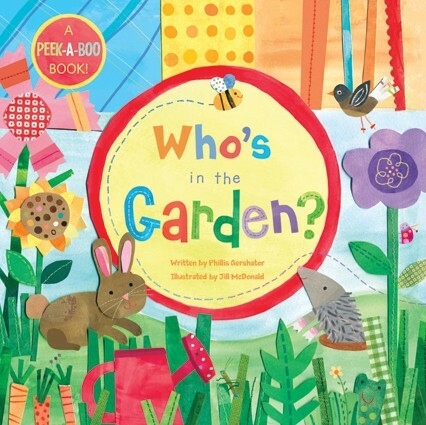 This craft is based on the fun illustrations by Jill McDonald in two books, Who's in the Garden? and Over in the Meadow. Who's coming to see how my garden grows? Rabbits hop, hop, hopping between the rows. 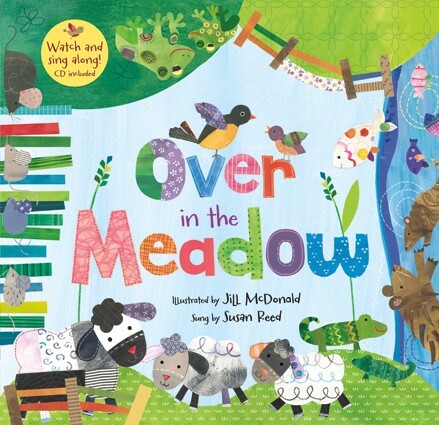 Over in the Meadow is a singalong book based on a traditional English song, about the creatures you find in a meadow - bumpy toads and woolly sheep and spiky muskrats and more - it's great for counting as well as for learning about different animals. And her little robins three. "We sing!" said the three. In a hole in the tree. After I read both books to the kids, I invited them to look more closely at the illustrations...I told them that the same person did the pictures in both books, and pointed out how the illustrations were created using layers of cloth and things like buttons and yarn. The original craft involved painting first and then gluing the shapes down on another piece of paper, but as I've mentioned before, I try to minimize the clean-up time for the after-school teachers. So, instead of painted paper, I cut shapes out of some scrap-booking card stock in pretty colors and designs. These kids are only four and five years old, so I cut out all the shapes for them. For older kids, I might just show them an example of a garden collage and then let them decide what types of shapes they wanted to cut out. Next time I do this, I might also try to cut out some shapes that the kids can use to make butterflies and bees and maybe some other creatures. The possibilities are endless! 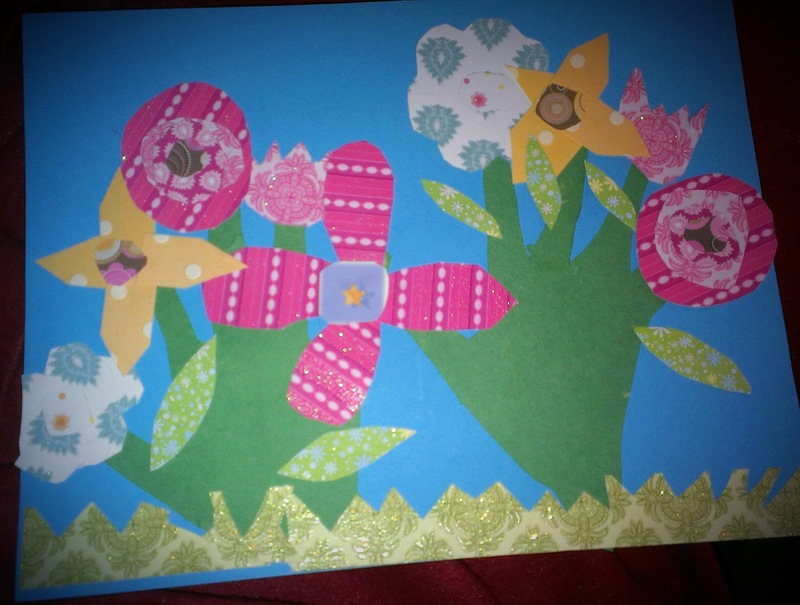 Here's another spin on this same idea - I helped Elfe create this garden collage that we are going to send to her grandfather (my father), who is recovering from open-heart surgery last week. We thought a colorful and cheerful garden would make him smile and help him recover faster. 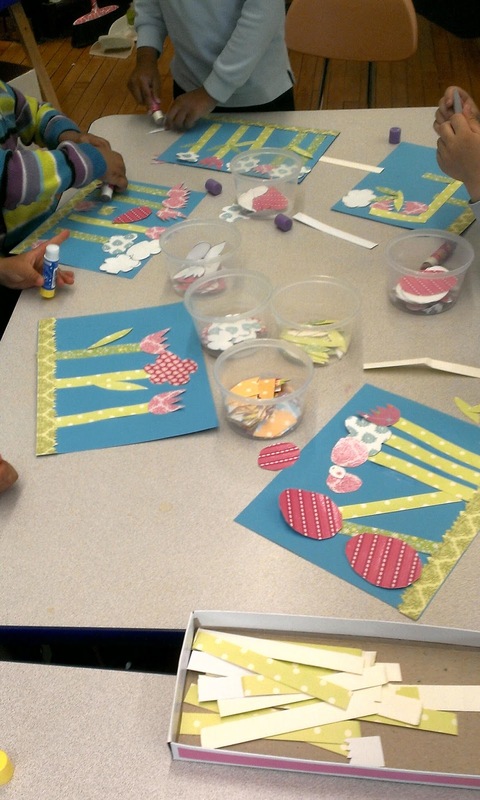 Have fun making your own garden or meadow collages, and let me know how they turn out! Singalongs - Buy 2 get 1 Free! 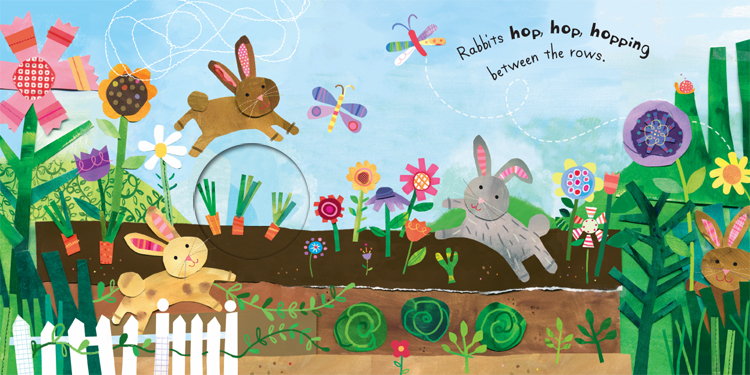 Celebrate Spring with Barefoot Books! Meet the Parrot Tico Tango!